We are relatively new to the motelier trade. Having raised our 5 children in Victoria, in 2014 we took a well-earned travel break after our youngest completed university. It was during that time we were approached to run a motel. Laughing it off, we offered to help out until the owners found new staff and thus…. our life change began. We fell in love with the industry. Realising we loved the interaction with guests, the opportunity to engage with a wide range of people and help make their travels, be they for work or play, that little better appealed to us. 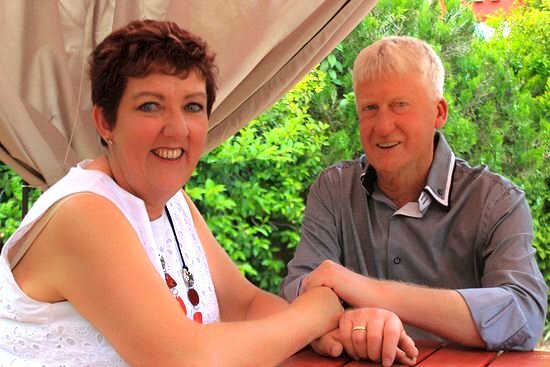 We sold our accounting and maintenance businesses, rented out our family home and commenced the new venture, purchasing the Shearing Shed Motor Inn Dubbo in November 2015. ​Since then, we have focused on bringing the Shearing Shed Motor Inn up to its best. Painting, upgrading electricals, bedding and appliances, all whilst developing the ‘Shearing Shed’ theme throughout the business has been very rewarding for us. Whilst there remains plenty to do, the first 18 months has seen great improvements.